Sci-fi fashion is a little known style that deserves credit for its originality and imagination. It is a great and fun look that all star-wars fans are sure to love, and can be made casual or elegant to suit any taste and style. The great thing about this style, for me, is that it is fun and expressive, and it can be used as an effective tool for showing the wearers personality. This article celebrates sci-fi fashion, and shows you how to achieve this imaginative style. 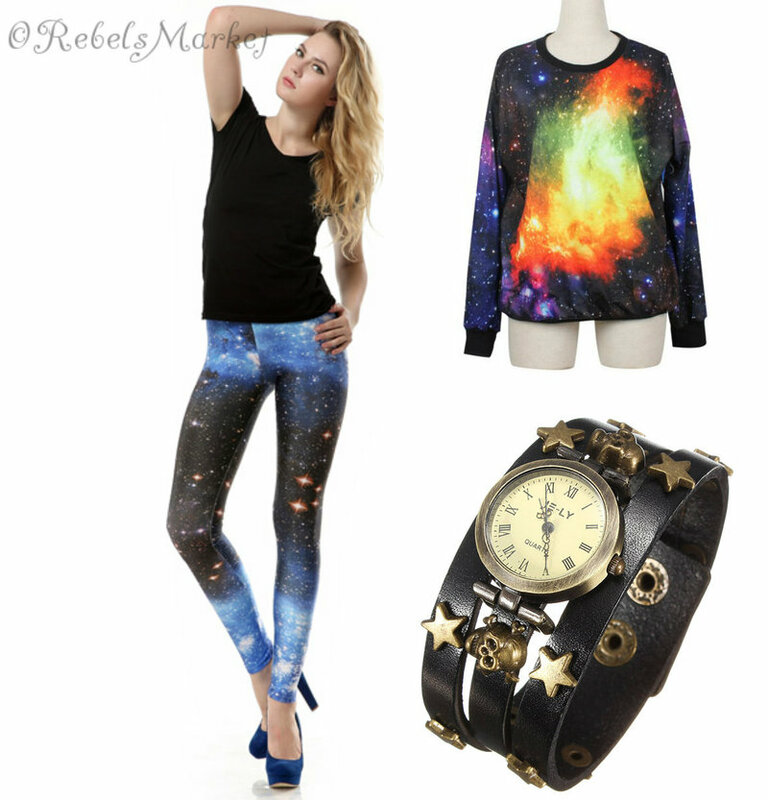 The designs on the outfit of choice you decide must show your love for all things outer space. From milky-ways to asteroids and the moon, you will have a wide variety of items to choose from. This shining galaxy design sweater is sure to make anyone begin dreaming of the stars. The bright and patterned top is great to keep warm and stay stylish at the same time. With its dark and light contrast, and space style, it is a brilliant addition to a sci-fi fans wardrobe. 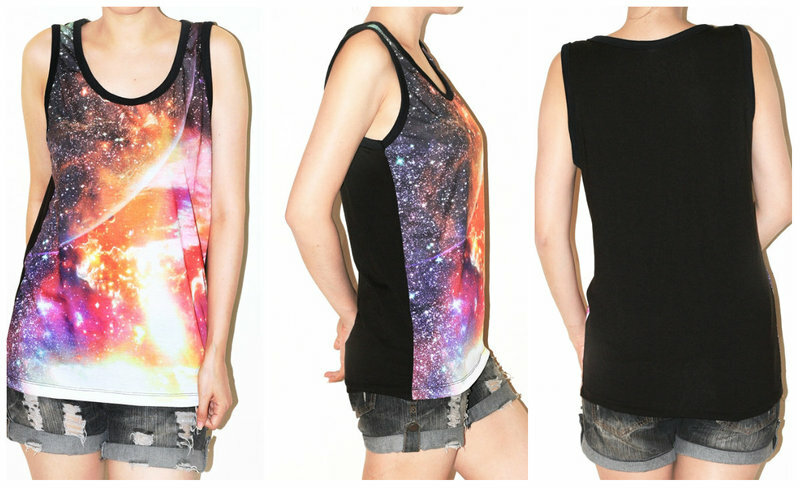 To add a splash of color to your outfit try this celestial top, with its bright colors and space style, it is expressive and fun! This cool deep red green galaxy ear plugs are great with celestial design that inspires the imagination. It makes you think of staring up at the night sky, and not only is it a science fiction dream, it is a colorful and fun accessory that is a great addition to any outfit. 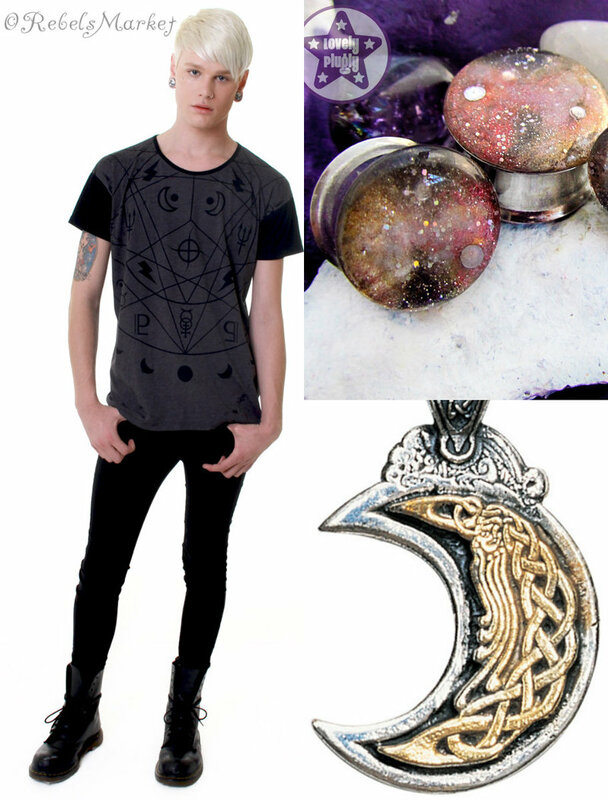 The fun moon pendant would look great on a necklace to a plain dress or celestial style top and you’re guaranteed to achieve a sci-fi dream style. It is a metallic, pretty accessory that speaks of UFO’s and science, perfect for the sci-fi dreamers out there. These galaxy print sneakers are bright, seductive and fun, a great addition to a sci-fi outfit for a night out under the stars or a party. The rebellious starry sneakers go great with an old style sci-fi look. Wear it with a pattered top and leggings and enjoy the compliments. The sci-fi look has different categories, but they all have one thing in common, a love for science fiction and imagination. Anyone who loves the likes of Star Wars, the Big Bang Theory or The Hitchhiker’s Guide To The Galaxy will appreciate this style, with its references to the movies and its celestial style. You can use printed designs and casual wear to keep it real for a daytime look, or go all out with a leather dress and studded high heels. Whatever your personality, this look can be suited to you, and is a fun way to fire up the imagination. Do you like the Sci-fi fashion fad? Any comments or ideas you would like to share? Comment below.